Good Evening/Afternoon/Morning, really whenever you're reading this! 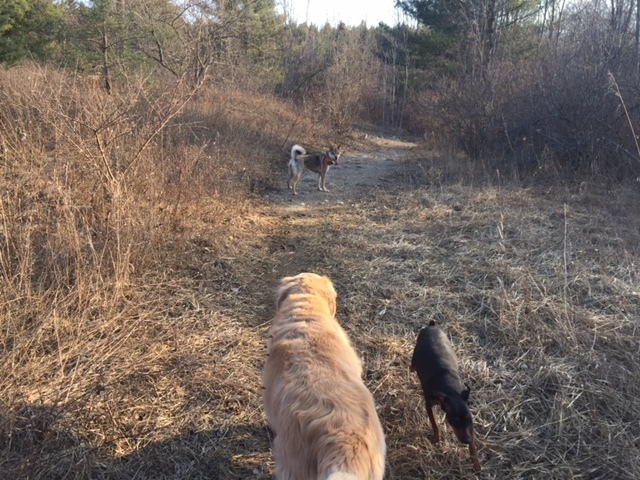 Today Mayumi and I headed out to Punslich, Ontario (near Guelph) to meet with some friends for a dog walk. I was forewarned, one of my friends small dog was dog aggressive. Myself and my friend are both dog trainers and we said we'd figure it out if anything happened. My friend has one Miniature Pinscher and brought her sisters dog, Mavis. Mavis is dog aggressive. Brittney has worked very hard with Mavis so that even though she doesn't like other dogs, they are able to go on off-leash hikes with new unfamiliar dogs. We went to a lake conservation, a sort of unofficial off-leash dog walking area. 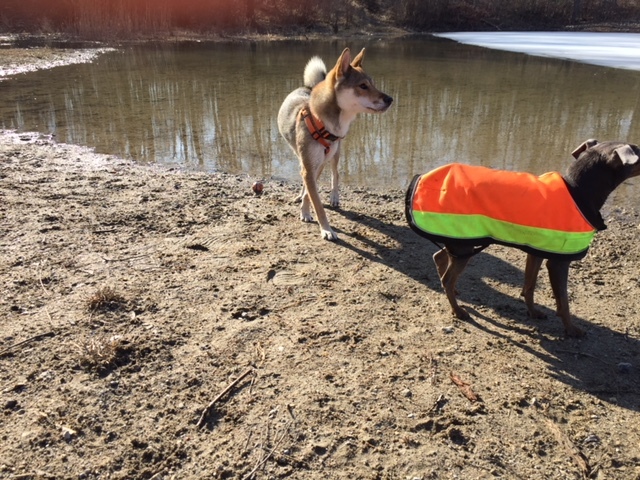 I was happily surprised when walking that Mayumi could run up to new dogs, have a play session and then be recalled back to me to leave to a new area. Mavis fetched her ball the entire time and as long as she was occupied, she didnt bother Mayumi at all. Mayumi and lexi eventually played. We met up with another friend who brought her golden and walked for about 2 hours. The trail led us to a few lakes, in the woods and some clear trails. We ran into many different breeds from Great Danes to little dogs, more Min Pins and shih-tzus. Meeting other people, they always say Mayumi looks like a fox! Some people asked me more details about her personality and the breed, its always nice to introduce the breed to people. Overall, it was an awesome hike. Mayumi loves loves to be off leash and play with other dogs. She ran around for those 2 hours. 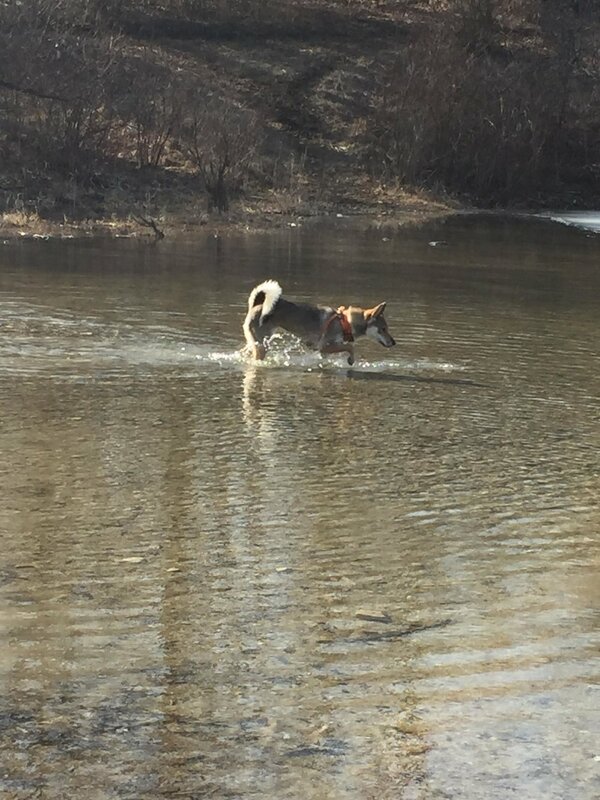 She even went into the lake, I was surprised. Now, shes passed out and will probably not wake up until tomorrow! hahaha.